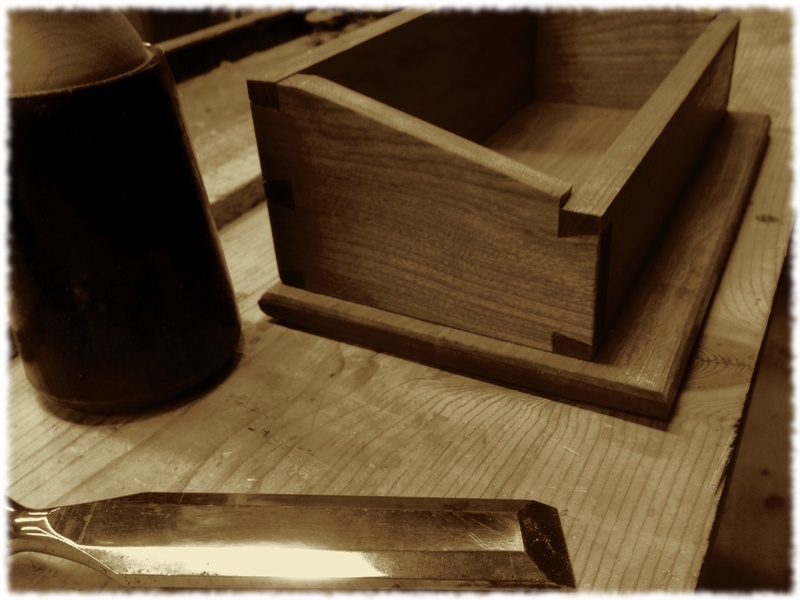 One of the (many) things that I don’t have a lot of experience with in the workshop is making dovetails. Many years ago I purchased a dovetail jig that should allow me to make perfect dovetails using a router. I just never used it and don’t even know if I have it still. I have only used dovetails on a couple of projects – mainly the drawers on the two night stands that I made for the boys. And I wasn’t too happy with how they turned out. So I decided that it would be good to do a quick project just to practice dovetails. I got the project and instructions from Woodworking Masterclasses. The project didn’t turn out too bad. The dovetails at the end were certainly better than the first few. Now I’ll just have to make small boxes a couple of times a year until I get comfortable cutting the dovetails. There are hundreds of ways to hand cut dovetails, so I gave Peter Sellers’ method a try (from the video). I liked some things from his video – such as his method of cutting out the waste. But I don’t think I really liked his method for marking out the depth of the cuts. We didn’t really have a use for the box in the house, but there is always room for help organizing the workshop. 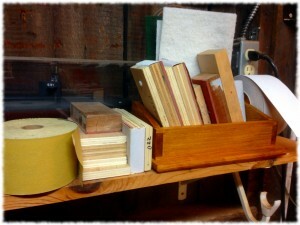 Tonight I gave the box one coat of shellac and put it to use helping organize the sanding supplies. It looks like I could use a couple more boxes to help out that shelf. I’m not sure what wood I used. It certainly wasn’t oak, cherry, or maple. It may have been ash or hickory. Though probably not hickory. So, I’ll go with ash. Because who doesn’t like a nice piece of ash. The project didn’t take too long. I spent a couple of hours working on it around the other projects going on in the house/workshop. Maybe I’ll mill up some cherry and build a second one over the next couple of weeks. I’ll have to make the next one deep enough it can hold the sandpaper rolls. And eventually maybe I can make one where the dovetails look good enough to put the box in the house. Dovetail Caddy – holding an assortment of sanding blocks. Hiding behind the sanding blocks is a memory from my days on SSN 691.